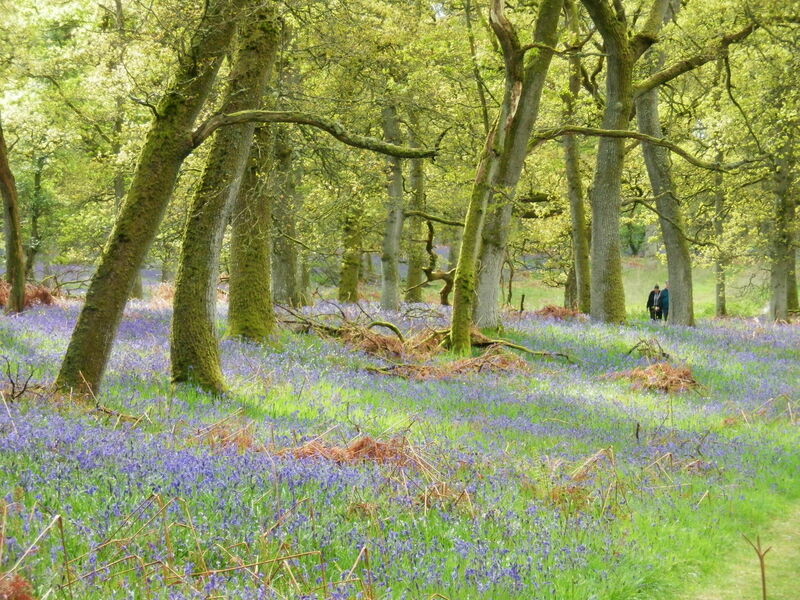 Have you ever walked through a bluebell wood in full flower? If you have, you will doubtless remember it as one of the most sublime landscapes you have ever known. This year the bluebells are exceptional: they seem to have spread and flowered everywhere, in unexpected places, under bushes, on lawns, along the verges of the main road. And in the woods, their preferred habitat, they are just extraordinary. 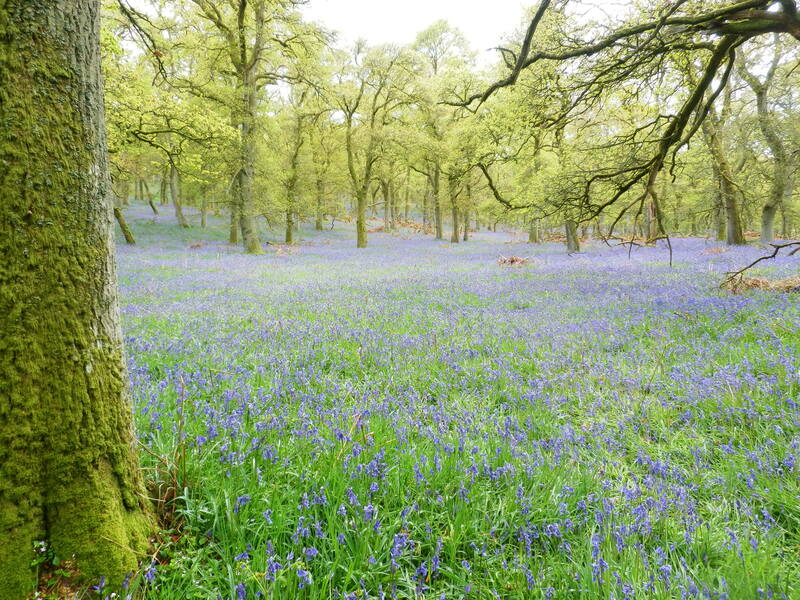 There is an oak wood a few miles from us which is famous for its bluebells. People make journeys especially to visit it at this time of year. For a week or two, the ground beneath the young oak leaves turns to an ethereal violet blue, shimmering on the edge of sight: it is a colour which seems almost beyond the visible spectrum. It is pretty much beyond words, too. I took my younger son to this wood yesterday after school. We parked at the edge of the wood and clambered over the low wall onto a path. At first my boy was in high spirits, shouting and capering, balancing on logs and recounting anecdotes from his school day. A few minutes into the wood, however, and he began to fall quiet: the magic of the place was stealing over him. The air was full of birdsong and the sweet, cool scent of millions of bluebells.Everywhere we looked, a violet haze pooled across the forest floor. ‘Oh my gosh, oh my gosh,’ breathed my son as he looked about him. We walked on for a minute or two in silence. When he turned to me, his face was full of wonder. We stayed half an hour or more. As we reluctantly headed homewards, we met the occasional other walker, whose faces reflected our own response to this woodland. One couple strode past smiling, regular visitors who knew all the best paths. A man in a suit stood in open-mouthed wonder for a few moments before returning to his car. An elderly pair in indifferent health stopped to ask directions, their expressions already filling with light and peace. Sadly I can no more adequately describe the experience of being in this wood to you than I could to my son. You just have to imagine the scent, the birdsong, the occasional breeze shaking raindrops from the trees, and that ethereal, infinite blue. You might enjoy In the enchanted wood or An escape into the bluebell woods. An artist who had a profound feel for the way that violet blue shimmers on the edge of the visible spectrum was Winifred Nicholson: you can find a little about her here in The lure of the liminal. the second picture is magical. The rain is always worth having: the Scottish landscape is a thousand shades of green as a result. And you know what, I think you are right: if there is such a thing as an enchanted forest (and personally I think that most of them probably are in one way or another) then this is surely it. They do take their own time to get established. Good luck with yours. That’s just stunning. Thank you. We have a little field of violets (I mean, REALLY little) nearby and I take my granddaughter there every year, but it’s nothing like this, of course. Just the idea of seeing it every year is special, though. Yes, an annual treat of a certain flower is always special. There are so many beauties at this time of year in the northern hemisphere. So this is where fairy tales come from? How could you not see and wonder. We don’t have bluebells, but the bluebonnets in some parts of the rolling hills of TX flow across the landscape and fields like this. You can see why some called prairies oceans. 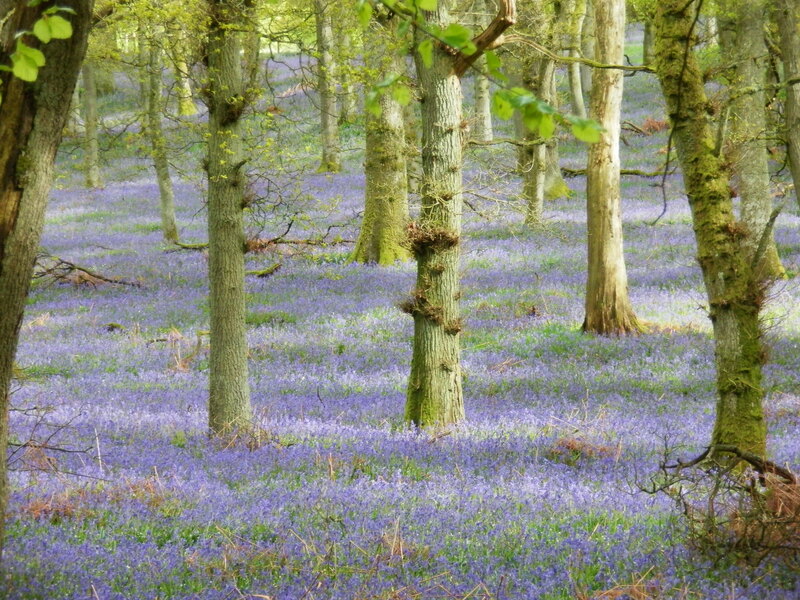 It is like a fairy tale – and my photos don’t do it justice, the true violet colour is lost. Your description of the flowers on your rolling hills is so evocative. It sounds beautiful. It is magical! The healing power of nature..it’s undeniable. Oh! Yes, absolutely. We went back to this wood at the weekend, and I watched it fill my family with peace and happiness. Wow – I would so love to walk through that wood – they appear like a mist on the ground. Beautiful. Yes, they are like mist, or haze, or soft water: quite ethereal. 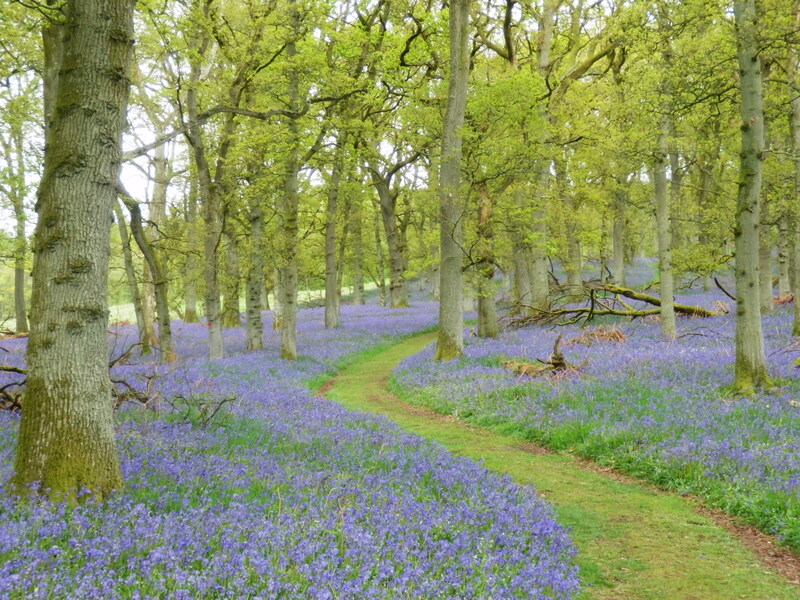 These photos are magnificent….I was walking in Crieff today and saw some smaller patches of bluebells….I feel so fortunate to be able to be in Scotland now while they are blooming! Glad to hear you are enjoying beautiful Perthshire! It is the most lovely time of the year, with the grass so bright and the wild flowers and rhodies in bloom. Hope you have a great trip. Wow, I can imagine the scent and the stillness… you’re right, words really aren’t adequate! 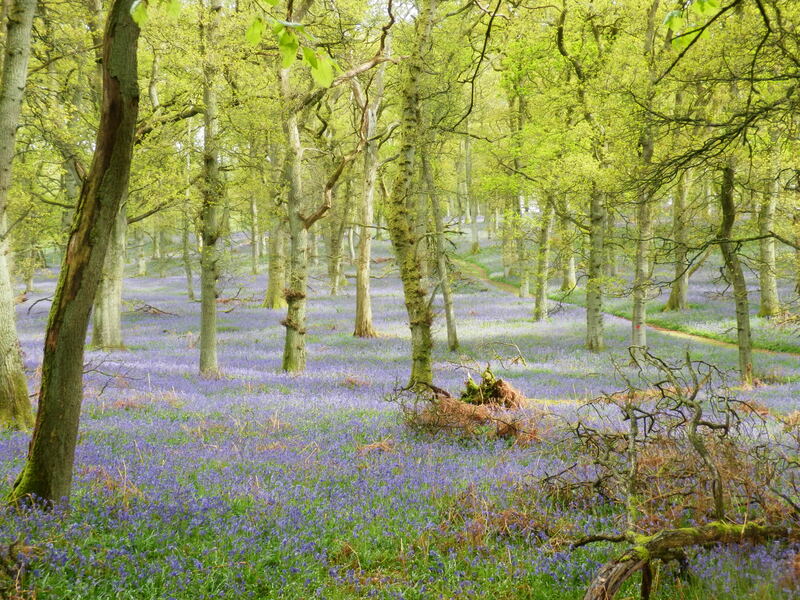 If anyone needs proof of the healing power of nature, they should experience a bluebell wood. We’ve noticed that the bluebells this year are especially intense and very prolific. When I’m moaning about the rain I will try to remember scenes like this! Aren’t they amazing this year? My mother says it is the same in the west. ‘Healing’ is the word: I took the whole family back to this wood at the weekend and watched the stress and worries just slip from their shoulders. Stunning! I love your description of your son’s falling under the magic spell. I had the good fortune to be taken to a large garden recently that was similarly carpeted in bluebells. The friend who took me there said she had never seen it more beautiful. And – Winifred Nicholson! Yes indeed. I am a big fan of hers. I’ll come back to read your post on the Lure of the Liminal. Aha, another Nicholson fan! Her paintings would not have spoken to me at all when I was younger: as I get older, I appreciate them more and more. Still so much loveliness in this old world…places created to grant a weary soul rest. If we cannot enjoy it firsthand, you have given us the chance to enjoy it vicariously. 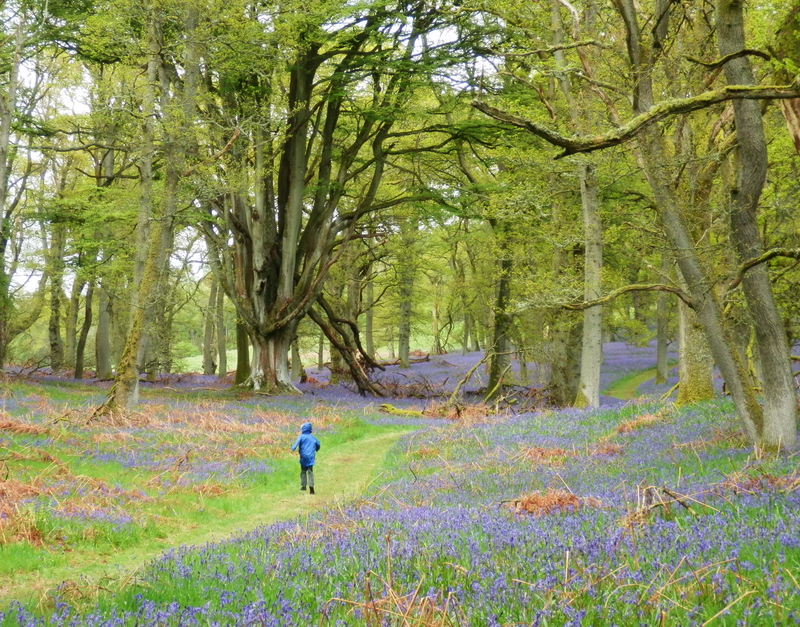 With your lovely words and enchanting images, you’ve just whisked me back to childhood springs when my sisters and I would wander in awe through a bluebell wood which sloped down to the shores of a large reservoir. Wonderful memories which come back to me every time I see the scatter of bluebells in the roadside verges which are all we see around here. 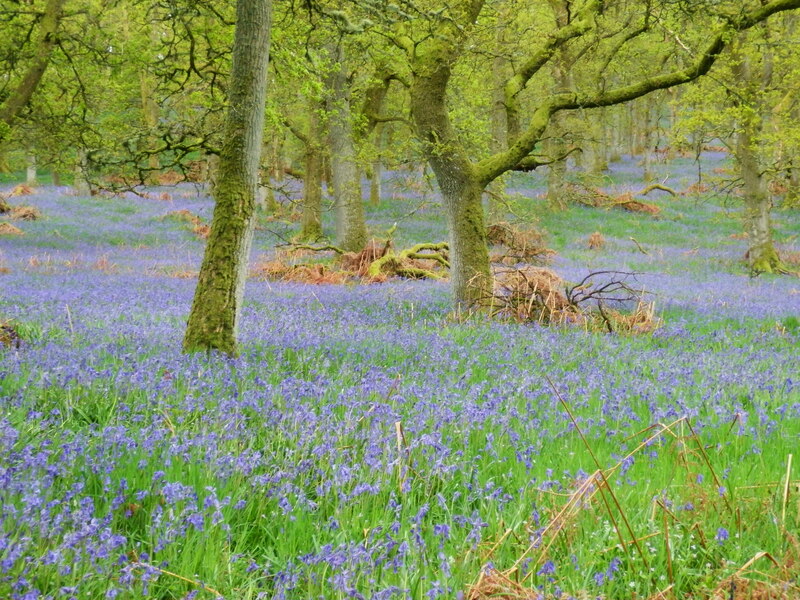 You’re right that this spring is exceptional for bluebells. I’m seeing them in places I’ve never seen them before. Ohmygosh, ohmygosh, ohmygosh, DB … what is wrong with WordPress that I’m just seeing your post now? Your images and prose are as close as I’ve come to Heaven in a long time. Thank you for this stunning reminder that the world is (still) full of beauty and wonder.